Just a few days ago I had some fun with this outfit post. Using some of my good old stuff, I decided to bring the springfest atmosphere closer to home and create a look I labelled as feeling like rock & roll and looking like a hippie. 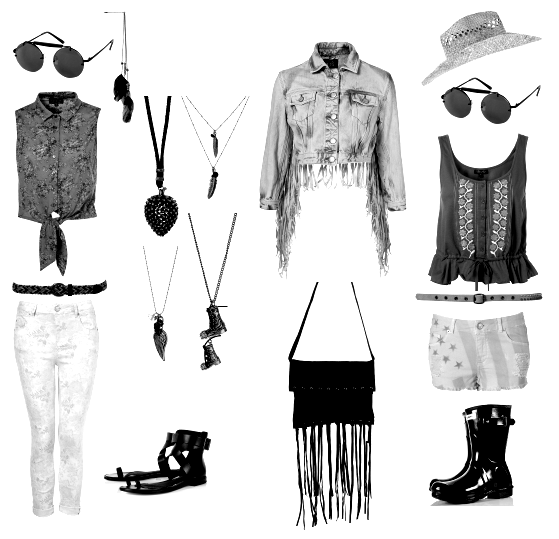 Yesterday, when I received Topshop's newsletter on new seasonal look the Gypsy Rocker, it just seemed like a great idea to recreate the featured look with items from coolest British high street brand Topshop, actually available in shops and online. Here's my outfit, and below, the ones I styled with Topshop pieces, grab them and enjoy the spring!